The Dromma mattress is a 12″ memory, gel, and latex foam mattress made up of 3 layers of latex foam, gel memory foam, and poly memory foam. The Dromma mattress comes in two firmness levels, medium soft and medium firm, which makes it different from most “universal comfort models” on the market. The founders of the Dromma Bed set out to create a unique memory foam bed more comfortable than anything currently being offered on the market, and sell it at a price people could actually afford. The Dromma mattress is a 12″ thick memory foam mattress made up of 3 layers of latex foam, gel memory foam, and poly memory foam. 1.5″ Top comfort layer – This layer is made of 1.5″ latex foam and designed to provide support and bounce during sleep. 2.5″ Middle support layer – This layer is made of 2.5″ gel memory foam and provides cooling and contour support as well as that memory foam hug sensation. 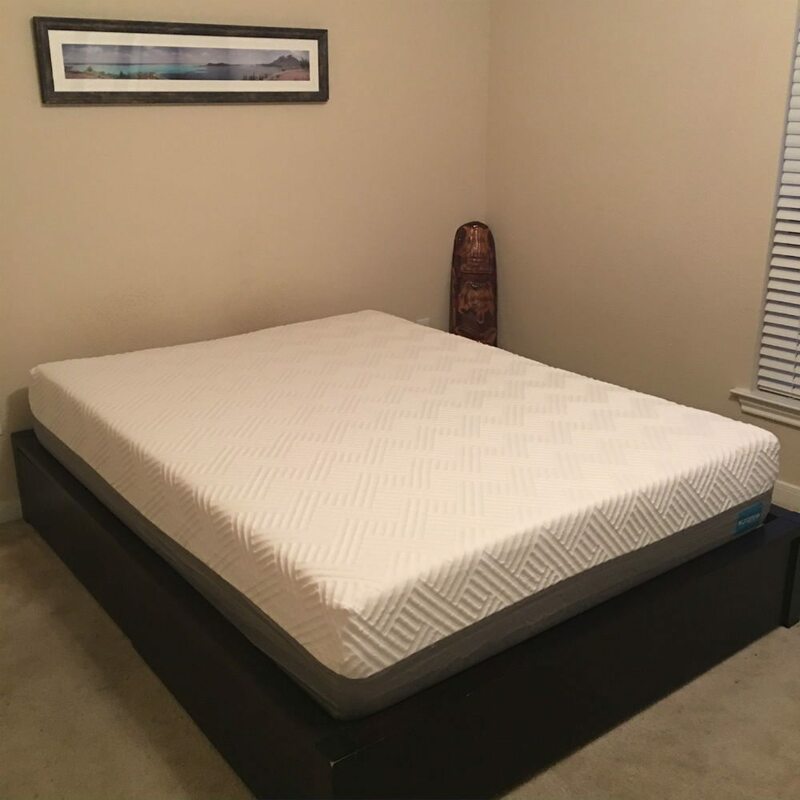 8“ Bottom foundation layer – This layer is made of 8″ poly memory foam and provides foundation for the mattress as well as firmness control. The Dromma has a hand sewn, washable cover that is soft and has a very comfortable pattern to it which contributed to the overall softness and comfort of the mattress. As a heavier sleeper than Kaye, I felt the Dromma was more on the softer side with both firmness levels, as the top layers are the same and which were very plush and comfortable for my weight. I like softer mattresses in general due to my size (230lbs), and the Dromma delivers the great feel that memory foam in general offers and the hug and contour as well. Kaye felt it was a little soft for her taste, as she prefers firmer mattresses, and because firmness is based on the lower support layer the top comfort layer was the same for her on both mattresses and on the softer side. Support was good with the Dromma, as the 11″ design provided great sleeping support for us both as side sleepers. The mattress was on the softer side, as mentioned previously, in both firmness levels overall which may be a problem for stomach sleepers who prefer firmer sleeping surfaces overall. The Dromma mattress is a rather comfortable mattress if you like the softer memory foam hug and feel that it provides, with the layers of latex foam, gel memory foam, and poly memory foam providing a comfortable night sleep in all sleeping positions but mostly for side sleepers. The top comfort layer is very plush and luxurious and provides a lot of comfort, with the lower support layer providing the difference in firmness. We found that the medium soft was much more on the softer end of the spectrum, especially for heavier sleepers. The Dromma sleeps relatively cool for a foam mattress due to the latex foam in the top layer. Because of the degree of hug that the foam conveyed for me as a heavier sleeper, I did feel like I was more down in the mattress instead of laying on top of it which caused a small degree of heat from the foam but nothing significant. There was a fair amount of sinkage with the Dromma mattress due to the plush foam top comfort layers. The softness of the top layers, while providing great comfort, also causes a higher degree of sinkage when sitting upright or on the edge of the mattress. As sinkage depends highly on sleeper weight, I experienced much more sinkage due to my larger size (230lbs) vs Kaye’s weight (around half of that.) When sitting up on the mattress, I sunk down significantly with the Medium Soft compared to the Medium Firm, but on both sunk through the top comfort layers easily when sitting up. When lying down, however, the mattress did a good job of supporting us during the night while sleeping. As for motion transfer, there is a moderate amount of motion transfer when sleeping on the Dromma mattress as a couple. This is an important factor for us, as excessive movement from our mattress causes sleep disruptions for both of us. This of course, depends on the firmness model of the mattress that is slept on. The medium soft had more motion transfer than the medium firm, which is to generally be expected with soft vs. firmer models. The latex foam layer while providing bounce can also convey motion which we did encounter as a couple adjusting sleeping positions during the night. The Dromma mattress almost no off-gassing when we unboxed it, which is above average compared to the other mattresses we have reviewed. The company gets high marks in this regard for the Eco friendly foam that they use in their mattresses. The Dromma is reasonably priced we feel with a queen selling for $849. The Dromma is one of the more comfortable memory foam mattresses on the market these days, especially if you like a softer feel and the classic memory foam hug and contour that this mattress provides the sleeper. The option of having two different firmness choices is a bonus as well, even though the top layers are identical and the firmness is based on the lower support base foam layer. The Dromma is a good choice for couples that like the softer, plusher feel of memory foam and the hug and degree of sinkage down into the mattress that this conveys. 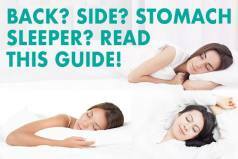 It is great for side sleepers and did not cause any degree of hip or shoulder discomfort but may be too soft for stomach sleepers who prefer a firmer sleeping surface. Overall, the Dromma is a good choice for those that like the softer feel of memory foam and a plush top comfort layer and we hope that this Dromma mattress review provided you with the information you may need making a purchase decision!